Premium Acreage from only $249,000! The latest release at our Jimboomba Woods acreage community is selling fast! Stage 23 includes a range of elevated allotments sized from 8000sqm to 1.17ha priced from only $279,000. Many of the lots in this stage back on to the stunning parkland reserve, giving them even more privacy for families. This high-quality acreage estate offers residents a country lifestyle with all the benefits of city living, such as full pressure town water, NBN and underground power, as well as schools and shops close by in the Jimboomba Town Centre. If you are planning on building your dream acreage family home, visit our Master Builders Australia Acreage Display Village located within Jimboomba Woods for some new home inspiration! Make your acreage dreams a reality today! Visit the New Display Home by G&P Builders at The Lanes this Weekend! The grand opening was held on the Saturday the 17th of February where over 60 groups of couples and families came to view the stunning ‘Reflections Aura’ home. Featuring 4 bedrooms, study, and 2 bathrooms, it has been designed to cater for all members of the family. The galley style kitchen looks onto the spacious living area with two expansive doors that connect the grand alfresco to the rest of the home. If you can picture yourself living here, enquire today! New Prep to Year 12 School Planned for the Northern Gold Coast Region! St Joseph’s College, a new prep to year 12 school, is planned to open in Pimpama to cater for the rapidly-increasing population of the northern Gold Coast. St Joseph’s will accommodate more than 1,800 students and is planned to open in 2019. The school will be located right across the road from our predominately owner-occupier estate – Pacific Cove. Allotments at Pacific Cove are sized from 300sqm to 660sqm and are available from $230,000. 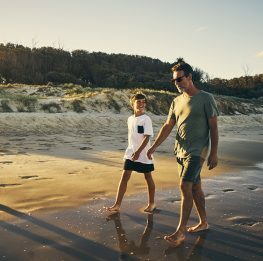 Residents enjoy the convenience of all key amenities and quality schools being only a short drive away, as well as easy access to the stunning Gold Coast beaches and a 40 minute commute to Brisbane. Home and land packages are available from $441,000 – enquire now! Corde Apartments Titles Now Issued! Our newest urban apartment development in East Brisbane, Corde, is now fully complete! Designed by leading architects Rothelowman, Corde is a collection of 60 residences offering 1, 2 and 3 bedroom floorplans, as well as a lush landscaped private recreational deck with unbelievable views of the CBD and Brisbane River. Corde’s prime position puts Brisbane’s best lifestyle precincts within reach, including New Farm, Fortitude Valley, The CBD and South Bank. The development’s convenient location is also easily accessible to public transport, open green spaces, many retail and dining areas, as well as quality education hubs. Only a very limited number of apartments are remaining – with prices starting from $425,000. Three Brand New Stages at Central Springs are NOW SELLING! 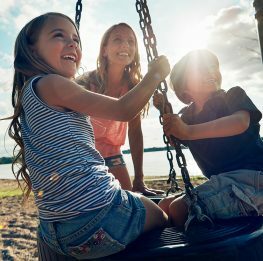 Three new stages have just been released for sale at our newest master planned community in Caboolture – Central Springs! The lots available in these latest stages are sized from 375sqm to 700sqm and are priced from only $199,900, with home and land packages selling from just $359,900! With the $20,000 First Home Owners Grant still available, there has never been a better time to act! Visit our Home and Land Sales Centre located at 10 Speedwell Street, Caboolture!